Somerset is rich in environmental assets from its coastline to the Levels, Exmoor to the Mendips. In particular, West Somerset was ranked in the top 10% most beautiful places in the UK (Natural England, 2013). However, this doesn’t paint the whole picture; there are some areas of the County experiencing very different circumstances. Many people living in towns have fewer opportunities to enjoy the rural landscape and may be experiencing poor conditions in their immediate environment. The English Indices of Deprivation, published by the Department for Communities and Local Government (DCLG), are the official measure of relative deprivation for small areas in England. The most recent were published in 2015. Based on 37 indicators, they are organised across seven domains of deprivation which are combined, using appropriate weights, to calculate the Index of Multiple Deprivation (IMD), which is calculated for every Lower layer Super Output Area (LSOA), or neighbourhood, in England. Every such neighbourhood is ranked according to its level of deprivation relative to that of other areas. The proportion of social and private homes that fail to meet the Decent Homes standard. 137 of Somerset's 327 LSOAs fall within the 20% most deprived local areas for Indoor Living Environment. This number has increased substantially since 2010, but note this relates to scores compared with other areas, not absolute scores. West Somerset is amongst the 10% most deprived Local Authorities for Indoor Living Environment, because it has a relatively high proportion of older, poor quality housing without access to mains gas for central heating. The average annual rainfall is 721mm. Around 15% of Somerset is either at or just above sea-level. Parts of the low-lying Somerset Levels and Moors are at risk of severe flooding as a result of extreme weather periods. 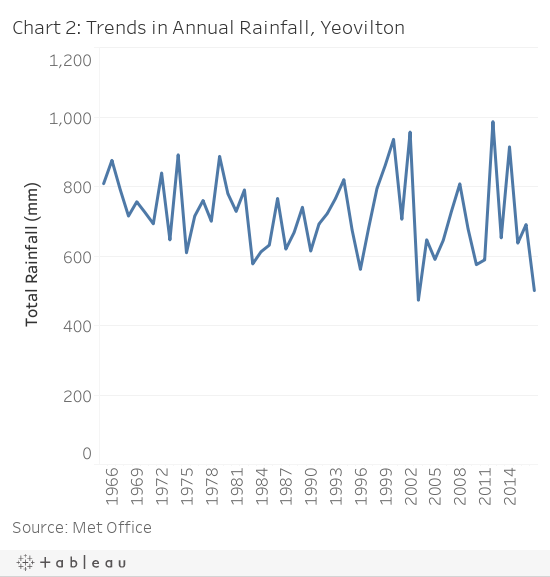 In particular, in early 2014, the area experienced widespread flooding within the Parrett and Tone river catchments. With an estimated 65 million cubic metres of floodwater covering an area of 65 square kilometres, it is the largest flood event ever known. 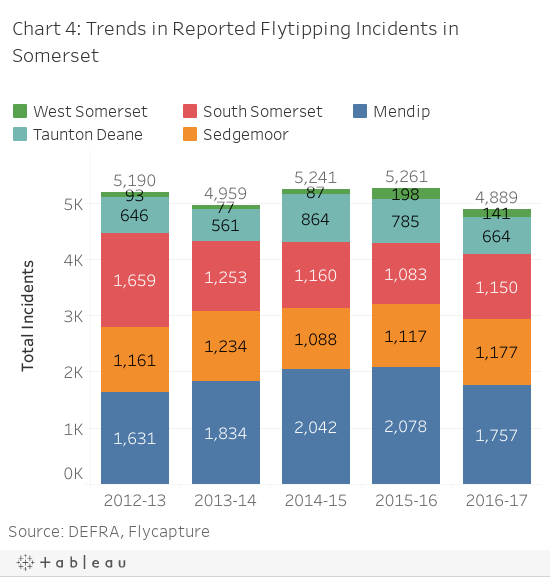 As a result, the Somerset Levels and Moors Flood Action Plan (FAP) was produced by a range of organisations, with the involvement of the community and co-ordinated by Somerset County Council. As part of the 20-year plan, the Somerset Rivers Authority was established in 2015. 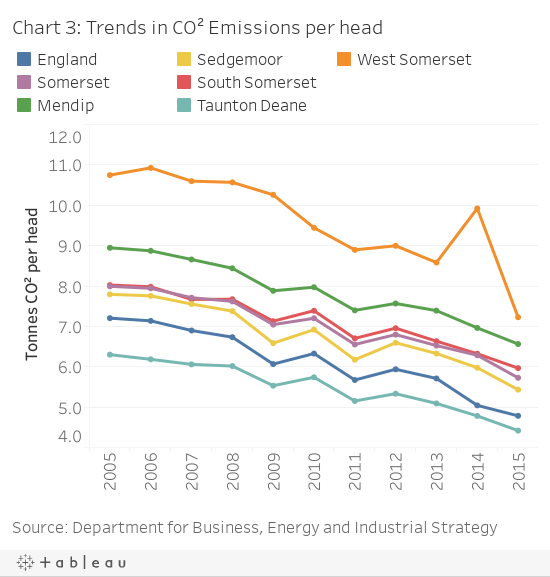 The Department for Business, Energy & Industrial Strategy publishes annual estimates of carbon dioxide emissions for local authorities and regions. 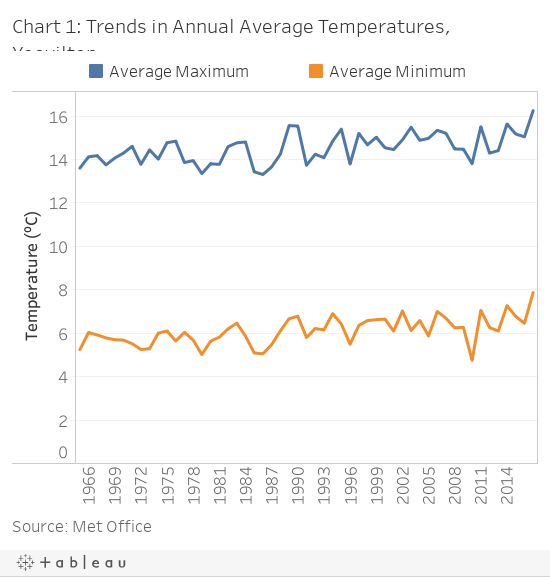 Carbon Dioxide (CO²) is the main greenhouse gas, accounting for about 81.5 per cent of the UK greenhouse gas emissions in 2015. Provisional figures estimate that CO² accounted for 80.3% of the UK's greenhouse emissions in 2016. This was a smaller decrease than that experienced across England and the South West (both 28%). The latest annual fall in Somerset is largely attributable to declines in industrial and commercial emissions. In 2015 industrial emissions comprised 39% of the total, 34% were attributed to transport and 28% to domestic energy use. Water quality at designated bathing water sites in England is assessed by the Environment Agency. From May to September, weekly assessments measure current water quality, and at a number of sites daily pollution risk forecasts are issued. Annual ratings classify each site as excellent, good, sufficient or poor based on measurements taken over a period of up to four years. See the map below for the seven locations in Somerset, and their 2016 classifications for bathing water quality. For more data on these sites and others around the English coast, see the Environment Agency website. Fly-tipping is the illegal deposit of waste on land, contrary to Section 33(1)(a) of the Environmental Protection Act 1990. Local authorities and the Environment Agency both have a responsibility in respect of illegally deposited waste. At 52% of the total, Somerset County Council has the eighth highest rate of the 32 Disposal local authorities in England.